The Big Pit Mining Museum is a prominent tourist destination which used to be an actual coal mine from the year 1880 to 1980. It is a heritage museum that exhibits objects that offers an idea to the public about the industrious aspects of the coal mines. 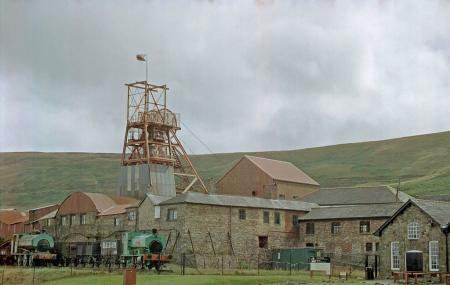 Within the museum, you can find objects such as pithead, winding house, baths, and a saw mill. To enter the mine museum, you will be provided with safety gear by the museum authority. Hence, you can bring your kids too at this place. You can buy affordable food from the canteen that used to serve food to the workers when the mine was active. The place wonderfully offers a learning experience to all. Create a flawless plan, make use of Cardiff trip planner. Book perfect hotels in Cardiff like Sleeperz Hotel Cardiff, The Angel Hotel- Part Of The Cairn Collection and Park Inn By Radisson Cardiff City Centre. How popular is Big Pit Mining Museum? People normally club together Noddfa Baptist Church and Tabor Baptist Church while planning their visit to Big Pit Mining Museum.